Proteins are critical components of all living things. Some proteins, like collagen, give our tissues structure, while others convert food into energy, carry oxygen to our cells, make muscles contract, enable us to see and yet others coordinate the production of a dazzling array of important molecules. 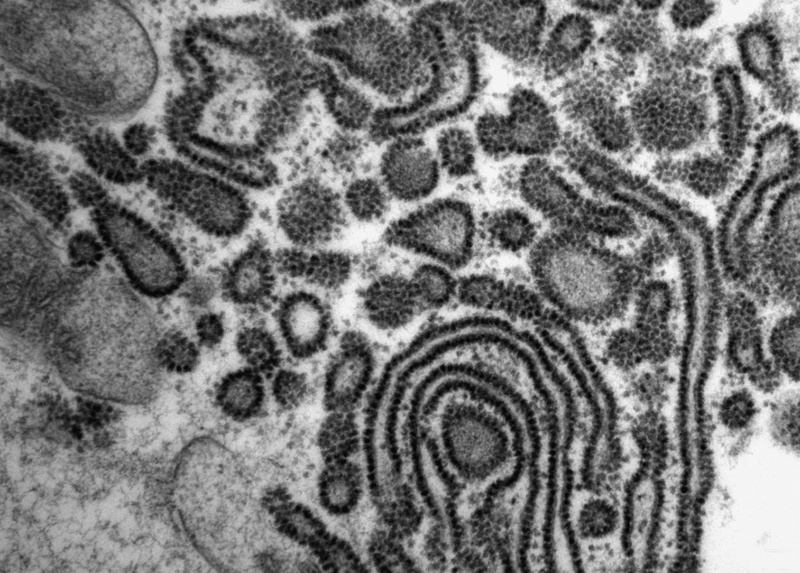 The small dark dots in this image are the ribosomes. They are nanoscale structures made of RNA and proteins and guide the ongoing production of new proteins. They are found in all living things including possums, gum trees, flying ants and of course, us. 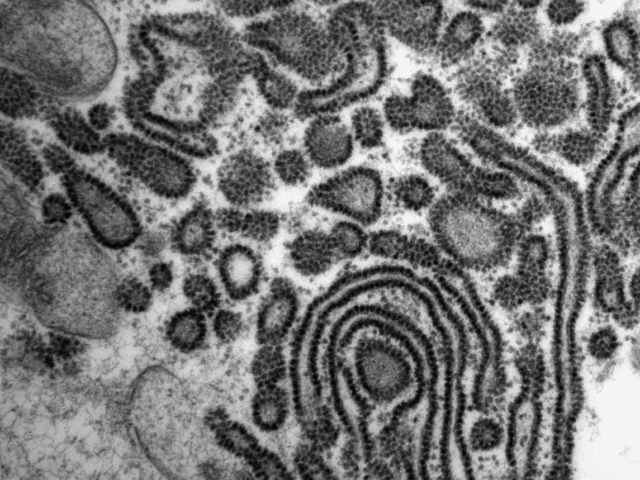 The circles and tubes that the ribosomes are attached to, process some types of protein molecules and move them through the cellular environment to where they need to go to perform their correct functions. Each ribosome is really tiny – only about 30 nanometres wide (1 nanometre is one millionth of a millimetre). (Vaughan Springs). A group of ‘janganpa’ ancestors resided there. Every night they would go out in search of food. Their hunting trips took them to Wirlki and Wanapirdi, where they found ‘pamapardu’ (flying ants). 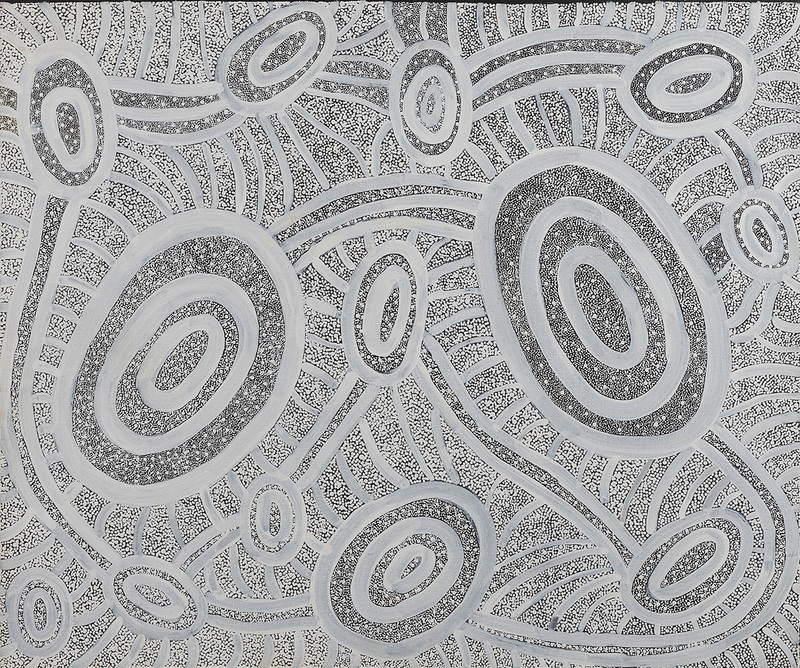 They journeyed on to Ngarlkirdipini looking for water. A Nampijinpa women was living at Mawurrji with her two daughters. She gave her daughters in marriage to a Jupurrurla ‘janganpa’ but later decided to run away with them. The Jupurrurla angrily pursued the woman. He tracked them to Mawurrji where he killed them with a stone axe. Their bodies are now rocks at this place. Warlpiri people perform a young men’s initiation ceremony, which involves the Janganpa Jukurrpa. The Janganpa Jukurrpa belongs to Jakamarra/Jupurrurla men and Nakamarra/Napurrurla women. 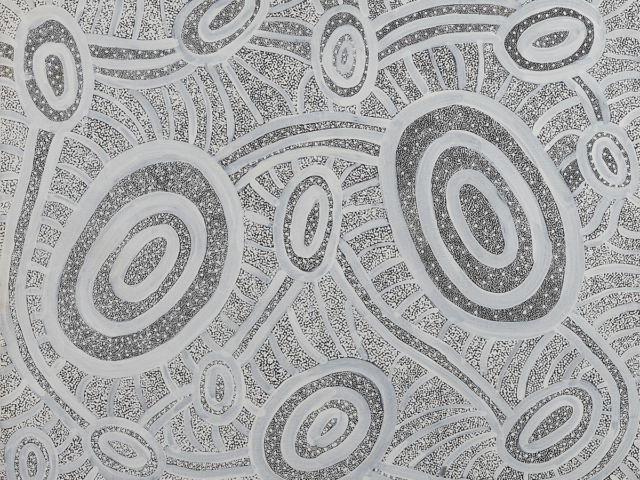 In Warlpiri paintings, traditional iconography is used to represent this Jukurrpa. Concentric circles are used to depict the trees in which the ‘janganpa’ live, and also the sites at Mawurrji.